Milo Yiannopoulos’ planned Free Speech Week at Berkeley has been cancelled, but the right wing troll announced he intends to hold a rally instead. The cancellation has fuelled suspicions that the event was never meant to go ahead. 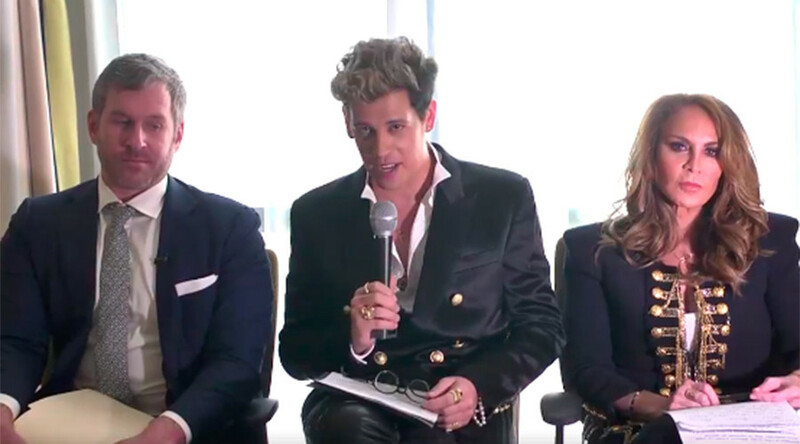 Yiannopoulos was working with conservative Berkeley student group, Berkeley Patriot, which announced the event’s cancellation in a letter to the university Saturday. “This cancellation is solely because of the actions, as well as threats made, against our clients by the administrations and your employees,” the letter, signed by attorney Marguerite Melo, read. In an “emergency” Facebook announcement Saturday, Yiannopoulos said he’d been “blindsided” by the decision, but added that, while they’re unable to hold an official university event, a rally would be held “come hell or high water,” without the support of the student group. Bay Area News Group obtained an email chain that suggests the Free Speech Week was nothing more than a publicity stunt by Yiannopoulos, who perhaps thought the university would object to the event, and thus rile up his supporters. The emails reveal one of the planned speakers, Gateway Pundit writer Lucian Wintrich, told Berkeley spokesman Dan Mogulof that the event was intended as an attention grab. Wintrich removed his name from the speaker list last week. “It was known that they didn’t intend to actually go through with it last week, and completely decided on Wednesday,” Wintrich said. Wintrich responded, “Yes.” RT.com has reached out to Wintrich to confirm these details. The LA Times reported Friday that only four speakers had confirmed their attendance at the event, and that at least four others said they were surprised to find themselves on the schedule. Former White House strategist and Breitbart chief Steve Bannon was also listed as a speaker, but would not respond to requests for confirmation of his attendance. The Hill reports speakers like Charles Murray, Heather Mac Donald, James Damore and Blackwater founder Erik Prince either dropped out, never confirmed they would attend, or, in Damore’s case, said they were added to the list without being told. 1/ Regarding Berkeley Free Speech Week: I was put on the list of announced speakers without my knowledge and won’t be speaking at the event. Berkeley reportedly expected to spend about $1 million on security and other elements for the event. Clashes between Unite the Right protesters and counter demonstrators in Charlottesville in August led to the protest being cancelled. It was then that white supremacist James Alex Fields rammed his car into counter protesters, killing Heather Heyer. The Berkeley Patriot said it had been “fully prepared” to move forward with the event. The group claimed it had been “subjected to extraordinary pressure and resistance, if not outright hostility” by the administration. The group said it filed a complaint with the Department of Justice accusing the university of “a pattern and practice of systematic suppression” of First and Fourteenth Amendment rights. The school, however, said the group missed many deadlines to secure the location for the event. Mogulof told Mercury News that Berkeley had no intention of restricting conservative speech. “Claims that this is somehow the outcome desired by the campus are without basis in fact. The university was prepared to do whatever was necessary to support the First Amendment rights of the student organization,” he said.